Royal Mansour Marrakech, a haven of luxury and privacy in the heart of Marrakech, are offering couples a unique romantic experience this Valentine’s Day to celebrate their love in style at one of the most beautiful hotels in the world. From the moment the guests set foot in Morocco, they will be receiving royal treatment; upon arrival, the couples will enjoy a Fast Track service at Marrakech Airport and be whisked to Royal Mansour by a complimentary luxury private transfer. They will then be welcomed in true Moroccan hospitality and escorted to their romantically decorated Superior One-Bedroom Riad (1500sqft/ 140m2). Breakfast will be served in the privacy of their own rooftop terrace overlooking the snow-capped Atlas Mountains. 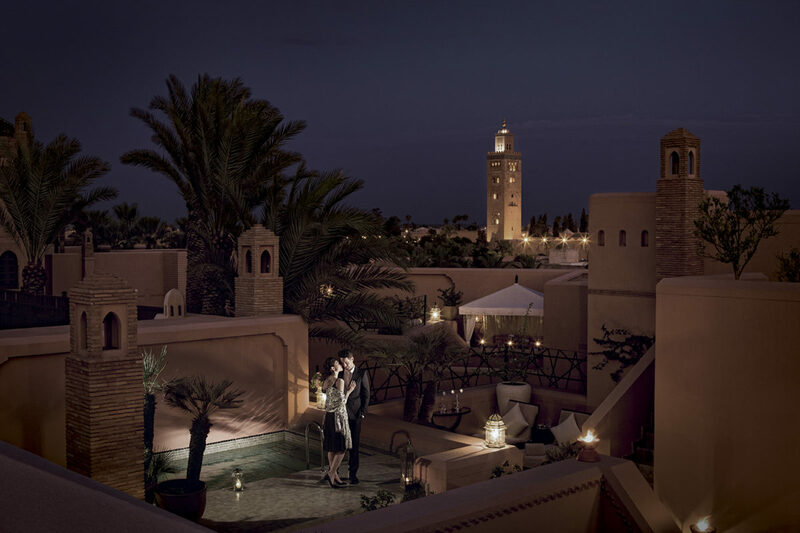 During their stay, a couple’s treatment in a private Spa Suite at Royal Mansour’s award-winning Spa will also be included, followed by a romantic dinner at La Table Restaurant where they can enjoy a gourmet set menu. The loved ones can also express their affection this Valentine’s Day by gifting an experience from Royal Mansour’s online boutique. Gifts include a Gourmet Afternoon Tea, a private Poolside Pavilion Day or Super Fine Dining. The Spa also serves as an ideal gift this Valentine’s Day offering traditional Moroccan Hammams, the ‘Escape for a Day’ package, or a romantic private massage in the Spa Suite. In addition, the boutique offers an exclusive selection of hand-crafted jewellery and haute coutre caftans available to purchase. 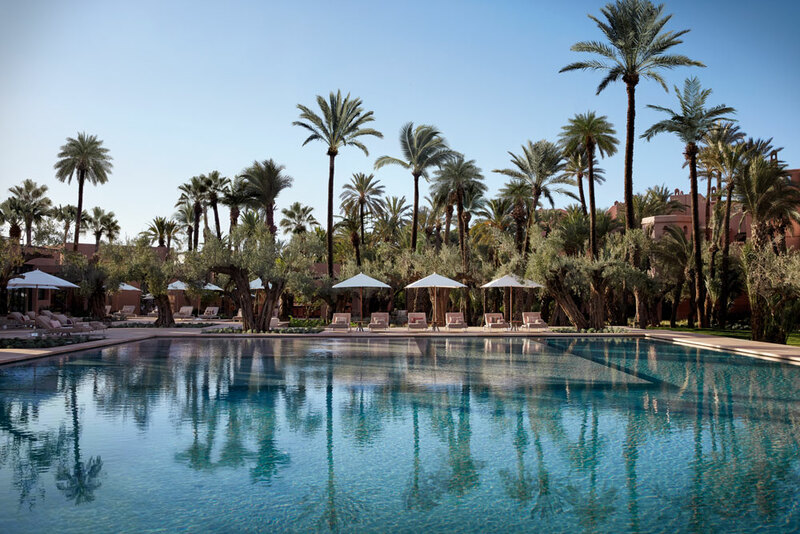 Royal Mansour Marrakech and its 53 luxurious riads are hidden amongst winding alleyways and newly extended lush landscaped gardens creating an enchanting oasis in the heart of Marrakech. The new contemporary Poolside Pavilions nestled amongst the palm trees offer couples the ultimate privacy and comfort while they lounge by the pool. 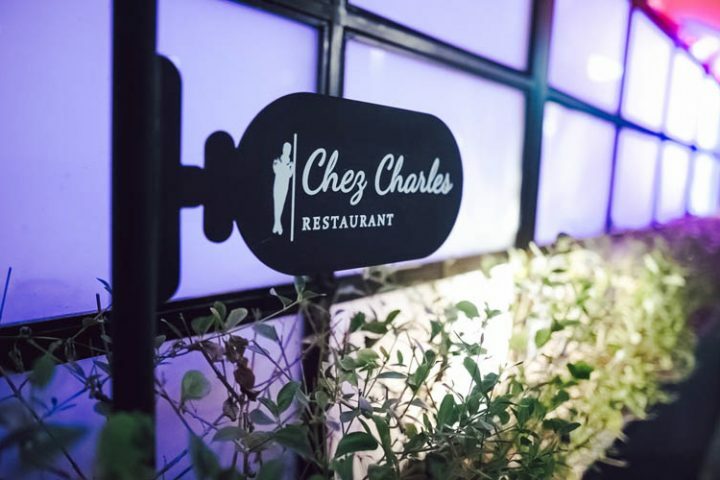 Recently opened restaurant Le Jardin, overseen by three star Michelin Chef Yannick Alleno, will delight diners with creative gourmet tastes served on garden-side tables, surrounded with the fragrance of jasmine and orange-flower. Famous Marrakech sights including the Jemaa el Fna Square and Koutoubia Mosque, are all within walking distance from the hotel for guests to explore the bustling souks, before returning to the tranquility of Royal Mansour for their romantic sojourn. 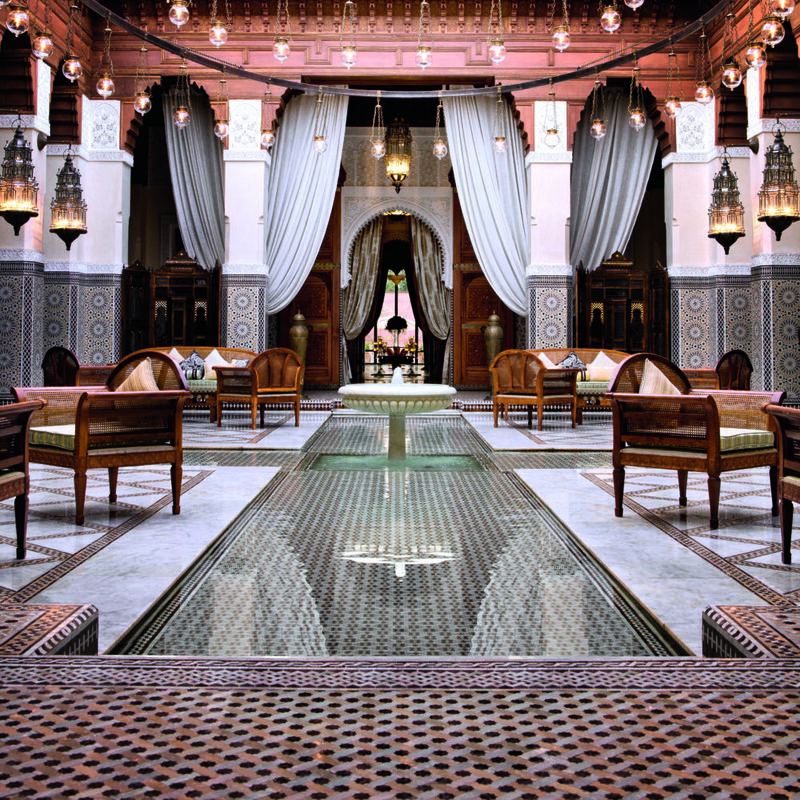 Royal Mansour’s Valentine’s Day package starts from 33,000 MAD (AED 13,088) per stay, including three nights in a Superior One-Bedroom Riad (1500sqft/ 140m2) for two people. 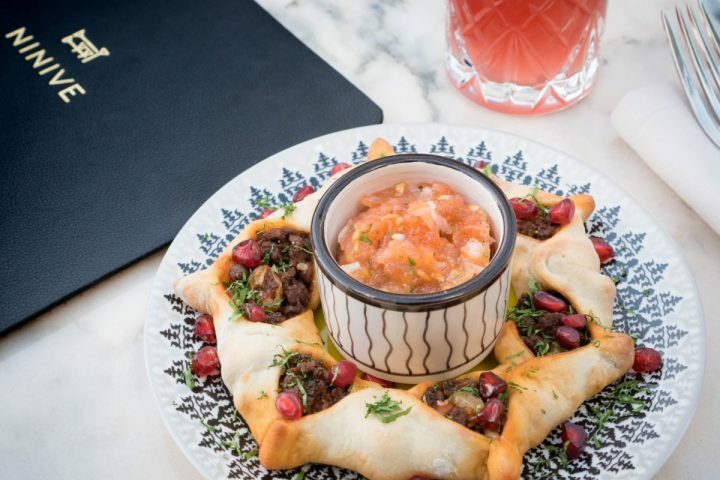 The package includes daily breakfast served at La Table or in your private riad, romantic Valentine’s Day decorations in the riad, a Valentine’s dinner at La Table, and a spa treatment for two in a private Spa Suite. The offer also includes a fast track service upon arrival and departure at Marrakech Airport, and private transfers from and to Marrakech Airport. The offer is valid from 12 to 19th February 2018. READ THE LUXE DIARY TO DISCOVER LUXURY FASHION, FOOD, ART AND TRAVEL LISTINGS, NEWS AND PROMOTIONS ACROSS DUBAI AND ABU DHABI. FOLLOW US ON INSTAGRAM, FACEBOOK & ON TWITTER.